Kodak Interworks Tournament at Liverpool ( Kirkby ) 1973. The Stevenage Kodak football side won this competition. Team is TOP ROW, left to right. 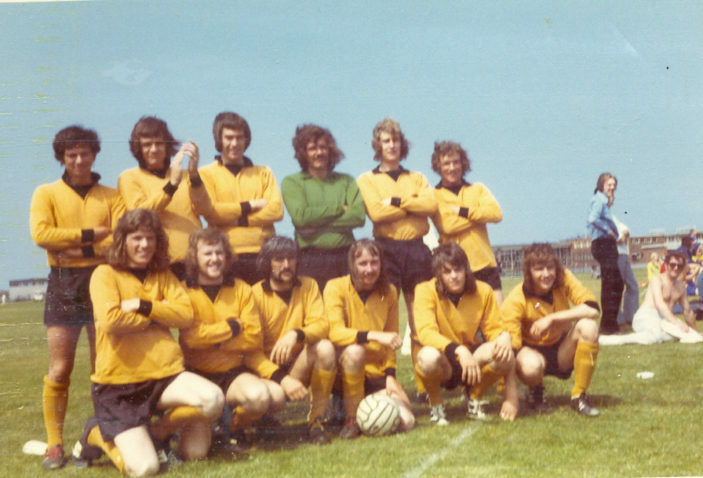 J, Stevens, R, Redmond, A, Ward, M, Helman, L, Killgarrif, R, Cockerton, BOTTOM ROW, left to right. T, Rowney, K, Bounsall, T, Gould, P, Mellhuish, J, Ashworth, M, Aslett.